Visiting an exhibition has been my favourite pastime, so last Saturday afternoon, after a leisurely stroll through the city center, I went to TypeFaces exhibition, hosted in a little, but very bright space in the former coach house in Gent. After being welcomed by friendly host Jan, I found myself in a company of more than 30 TypeFaces presented in a row alongside the wall, that were gazing at me from their light wood coloured frames. I felt as if I was a part of a secret conversation. Besides the letterpress printed artworks, 2 large books called 'Type faces' & ‘Misprinted by JV’, bound from oversized sheets of paper attracted my attention. Well, I’ve always found interesting to look through the working process and misprints in particular as they are often more expressive than the final piece. The fact that some printed sheets were slightly transparent gave me a dreamy, foggy feel which I quite liked. 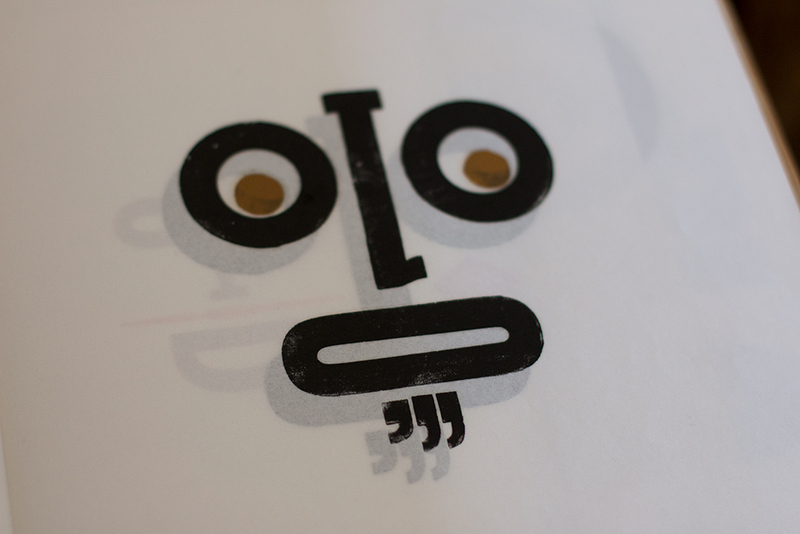 Jan Vermandere is a graphic designer, based in Gent, who has been collecting wood type for a decade. Following his interest in printing, he enrolled in the Academy of Fine Arts in Gent where he primarily focuses on woodblock (non-toxic) printing techniques. 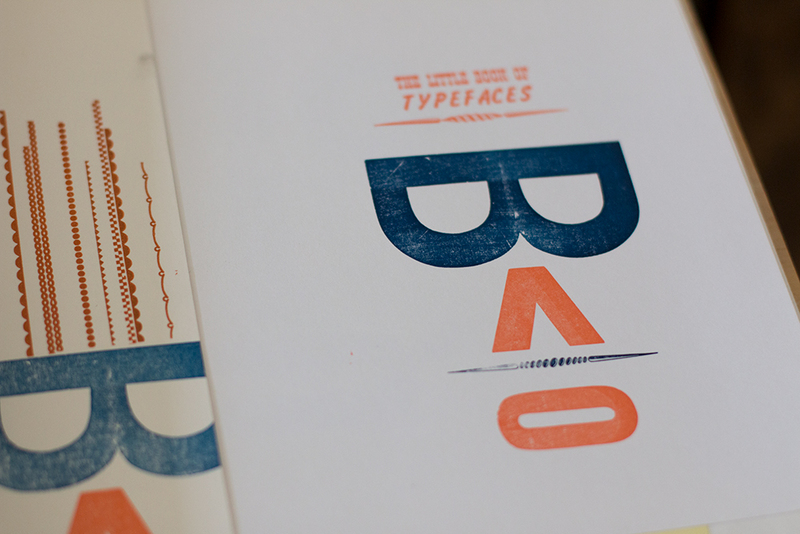 Having worked with woodcuts for quite a while Jan decided to come back to typography and use wood type for this project. Back in his modest workspace, armed with wood type of various kinds (some of them incomplete) and inspired by the works of H.N.Werkman, he began experimenting aiming to liberate the letters from their traditional function. Trying to give them a voice of their own. A face if you wish. When I asked Jan about the actual printing process, he pointed at the baren* lying on the table and I was surprised to hear that Jan actually had no proofing press whatsoever. He uses a frame to lockup the wood type on his working table, places the paper on the inked letters and uses baren to burnish the back of a sheet of paper to pick up the ink from wood. Embracing the technique of classic Japanese woodblock printing which is completely done by hand, Jan applied it to the 21st-century printing. Proving working with limited materials can only be liberating and stimulates thought and creative solutions. *Baren - a disk-like device of approximately 135 mm with a flat bottom and a knotted handle - is a Japanese hand tool traditionally used in printmaking processes such as woodcut or lino cut.